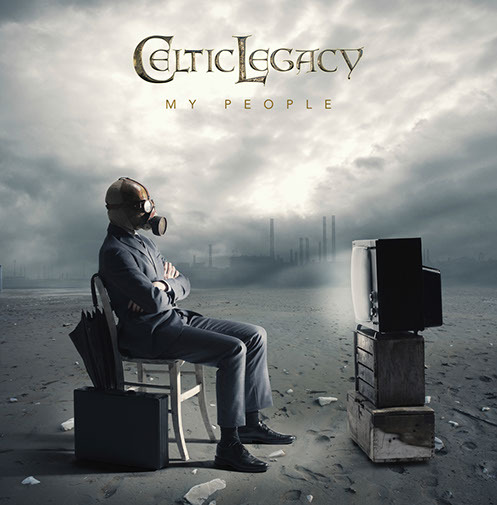 Back in 2008, CELTIC LEGACY pretty much just fell apart. They were struggling to survive financially and the bands two founding members had a rather public, and at times rather petty, falling out with Dave Boylan eventually threatening to continue his own ‘KELTIC LEGACY’ version of the band. As of 2014…!!! Dave Morrissey has decided to take up the mantle once more and has retained the bands original name and the bands most recent vocalist Ciaran Ennis (MIRRORS OF OBSIDIAN). The first new music from CELTIC LEGACY since 2008 will be released on August 4 2014. This digital single called ‘My People’ will be available to buy as a digital download and you can pre-order here. Bet you didn’t see THAT coming just a few days ago eh?